The UK is the only country which grows apples specially designed for cooking. 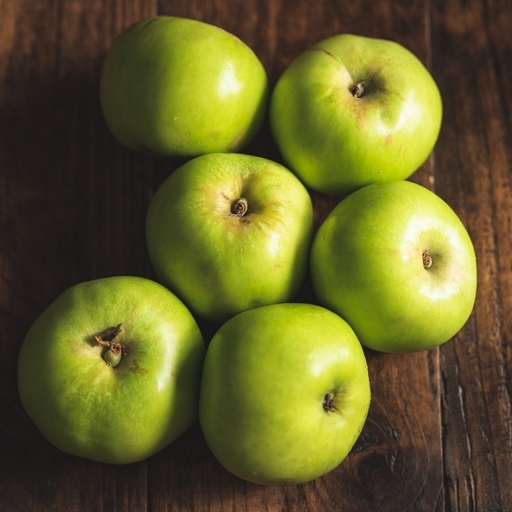 Bramley is the very best: it cooks to a moist, airy, ‘melt in the mouth’ texture. These organic beauties, grown by Paul Ward at Mole End Farm in Kent, are available between October and January – so you can warm up over winter with perfect pies and crumbles. Delivered from our farm, so wash before cooking. Cooking apples continue to ripen once picked and their flavour can deteriorate if not stored properly. If you plan to use the apples within a couple of days of delivery it’s best to keep them in a polythene bag in the bottom of your fridge. If you plan to keep the apples for longer, individually wrap each apple in newspaper and store in a cool, dark and dry place.